Amatheon Agri Holding N.V. (the “Company” or “Amatheon”), the Euronext listed agribusiness and farming group, announces that it has successfully completed the first tranche of an up to EUR 50 million capital raise. The Company has raised EUR 30.3 million through the issue of new shares. Pursuant to the authorisation of the Extraordinary General Meeting of Shareholders (“EGM”) on 8 December 2014, the Management Board and Supervisory Board approved the issuance of up to 21,739,130 New Shares raising aggregate proceeds of up to EUR 50 million (the “Capital Increase”). The subscription price per New Share was determined as equal the average closing price of the current issued shares in the capital of the Company quoted on the Marché Libre of Euronext in Paris during five trading days preceding the day of the EGM notice, being EUR 2.30 per share. 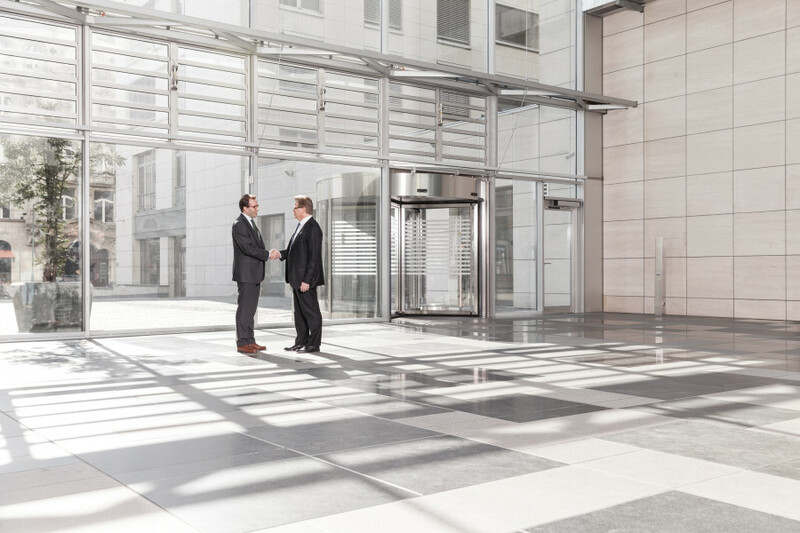 The first tranche of the Capital Increase is a first step towards the Company’s significant growth strategy and expanding its shareholder base to include renowned international investors. 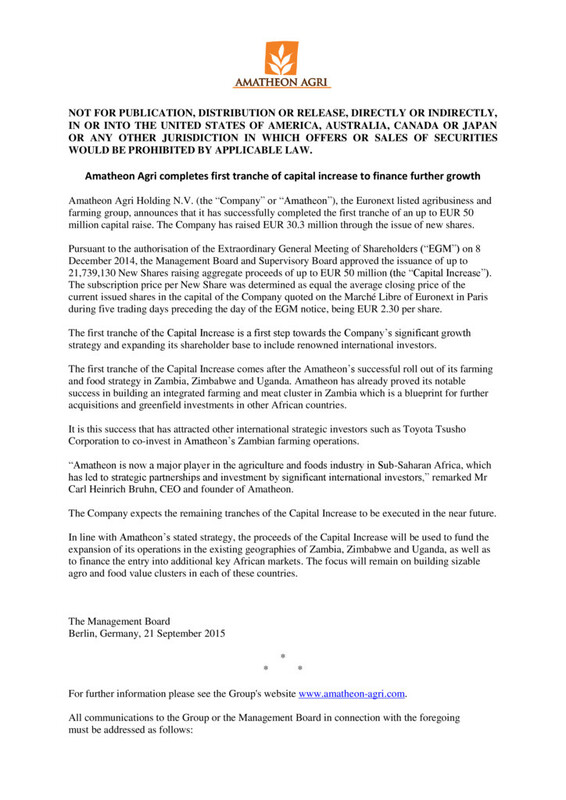 The first tranche of the Capital Increase comes after the Amatheon’s successful roll out of its farming and food strategy in Zambia, Zimbabwe and Uganda. Amatheon has already proved its notable success in building an integrated farming and meat cluster in Zambia which is a blueprint for further acquisitions and greenfield investments in other African countries. It is this success that has attracted other international strategic investors such as Toyota Tsusho Corporation to co-invest in Amatheon’s Zambian farming operations. “Amatheon is now a major player in the agriculture and foods industry in Sub-Saharan Africa, which has led to strategic partnerships and investment by significant international investors,” remarked Mr Carl Heinrich Bruhn, CEO and founder of Amatheon. The Company expects the remaining tranches of the Capital Increase to be executed in the near future. In line with Amatheon’s stated strategy, the proceeds of the Capital Increase will be used to fund the expansion of its operations in the existing geographies of Zambia, Zimbabwe and Uganda, as well as to finance the entry into additional key African markets. The focus will remain on building sizable agro and food value clusters in each of these countries.